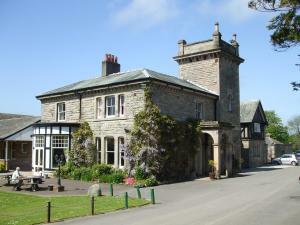 Choose from 65 hotels and guest houses in Cumbria. Shown below a just a selection of the hotels available. To search within an area please use the menu on the right. In 4.5 acres of woodland gardens, on the shores of Derwentwater, this charming family-run hotel has a beautiful, peaceful location, surrounded by the stunning scenery of the Lake District. With the natural beauty of the picturesque Borrowdale Valley all around, the Mary Mount Hotel has a peaceful country house atmosphere. There are walks around the lake, and to the nearby fells, leaving right from the hotel's front door. All of the en suite rooms have full central heating, TVs and tea/coffee making facilities. Some rooms have views across the lake, while others look out onto the pleasant grounds. Dogs are welcome in some of the rooms. The hotel's cosy oak-panelled bar has a real open fire for the colder winter months. The licensed restaurant has large picture windows with spectacular panoramic views across Derwentwater to the fells beyond. The restaurant offers an ? la carte menu and a regional wine list. Previously a farmhouse and a coaching inn, this inn has a beautiful rural setting with attractive views, as well as a large beer garden and an outdoor adventure playground. Complete with ample car parking and disabled toilets, the inn features 4 cask-conditioned ales and an extensive list of beers and lagers. The extensive restaurant menu is complemented by a daily specials board with an emphasis on local, fresh produce. 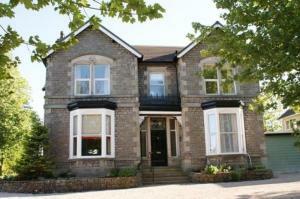 There are 5 en suite bedrooms, with tea and coffee facilities, a TV, and a shower and bath. Awarded 4 silver stars, this charming 19th-century house provides friendly, comfortable accommodation in the traditional Lakes town of Windermere. 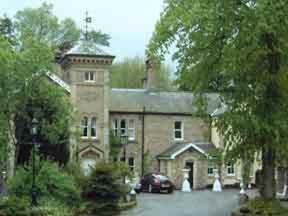 Ellerthwaite Lodge is just a 10-minute walk from the train station. A 4-star guest house, Ellerthwaite Lodge was refurbished in 2008 and now provides stylish en suite rooms, each with bespoke furnishings and a flat-screen TV. The guest lounge provides a relaxing area, with panoramic views and leather sofas. The lodge is just a 2-minute walk from tranquil Windermere town centre, with its variety of shops and its selection of good restaurants. The village of Bowness and the shores of Lake Windermere are also just a short stroll away, providing the opportunity to try your hand at a number of water sports. With original open fires and luxurious surroundings to relax in, this magnificent country house and restaurant was built in 1836 is set in the Trout Beck Valley. Broadoaks Country House offers comfortable accommodation as well as fine dining in its Michelin recommended restaurant. 14 individually designed rooms with bespoke en suite facilities feature Victorian and Georgian styling alongside modern jacuzzis, spas, and whirlpool and sunken baths. All rooms are designed to create a relaxing atmosphere. Some have river views and others have views across to Lake Windermere. This is an AA 5-star rated guest house property. Situated in a peaceful residential area of Windermere, this charming guest house is set in an area of outstanding natural beauty, within walking distance of Bowness, in the English Lake District. 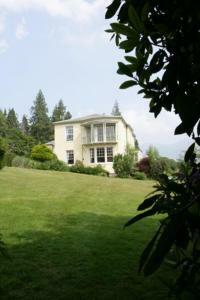 Thornbank Guest House is located between Windermere and Bowness on the lake. This position gives you the opportunity to visit a wealth of attractions; from quaint little villages enriched in history to the spectacular scenic beauty the area has to offer. Recently awarded 4 stars by the English Tourism Council, Mark and Jane Hibbitt welcome you into their family home to share a friendly and informal atmosphere, complemented by an excellent quality of service. Converted from an old farmhouse dating back to 1750. Exposed beams and lots of memorabilia in all the public rooms. Business facilities (e.g. fax/modem). Relax around a real log fire in our bar; reception is open until 23.00. In the heart of the city centre, next to Carlisle Railway Station, this elegant Victorian hotel was fully refurbished in 2009 and now offers free Wi-Fi, free parking and boutique-style rooms. Formerly The Lakes Court Hotel, the Hallmark Hotel Carlisle completed a ?1 million renovation in March 2009. Newly refurbished executive and standard rooms are available and all of the stylish and luxurious rooms have 32-inch flat-screen TVs with Freeview digital channels. The attractive and modern lounge bar is a great place to relax with a drink, and delicious bar snacks are available daily. Early evening tapas is served in the bar between 17:00 and 19:00. The Brasserie is open every day for breakfast, lunch and dinner, offering great food and wine. With a superb central location, the hotel is only 2 miles (3.2 km) from the M6 motorway, making it a great base from which to explore the Borders and the beautiful English Lake District. Westmorland Hotel is an award-winning hotel in a peaceful location on the outskirts of the Lake District. Just a one minute drive from the M6 (between J38 and J39) via the award winning Tebay Services, the AA 3-star rated Westmorland Hotel is set in a tranquil countryside setting with spectacular mountain views. The hotel offers en suite bedrooms with luxurious bathrooms and contemporary design using natural materials. Also there are 6 flexible meeting rooms with natural daylight for 2-120 delegates. The AA rosette award winning restaurant serves delicious menus featuring only the freshest ingredients and the best local produce. Add to this the log fires, water features and Wi-Fi broadband connections and you have an individual hotel with a stunning and convenient location, which, once discovered, is likely to become your preferred hotel on the M6. Winner of the AA's 'Funkiest B&B' award for 2009/10, these boutique-style suites offer designer luxury, with 42-inch LCD TVs, crystal lights, iPod docking stations and free Wi-Fi. With a 5-star Guest Accommodation rating from the AA, enjoy luxury bathrooms and modern designer furniture at the elegant Windermere Suites. A hearty Cumbria platter or continental breakfast is served in your suite every morning. Windermere Suites is a 2-minute stroll from the main village's shops and fine restaurants. Also within walking distance is Bowness-on-Windermere, home to the 'World of Beatrix Potter'. Situated in a quiet corner of Grasmere, overlooking the lake and surrounded by majestic fells, this hotel is just 2 minutes' walk from the village centre. The warm and friendly hotel stands in one acre of beautiful gardens with an outdoor swimming pool and a putting green. There is also a private pier on the lake shore. 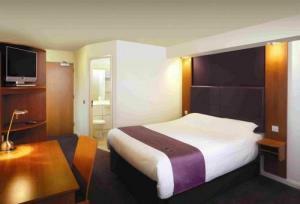 The hotel has 2 spacious and light guest lounges, which have panoramic views of the surrounding fells. On chilly days there is a log fire and a selection of board games and magazines. On the shores of Lake Ullswater, surrounded by the stunning natural beauty of the Lake District, this traditional English country house hotel has an award-winning Michelin-starred restaurant. Looking out over the lake to the fells and woodland beyond, Sharrow Bay has a beautiful, peaceful location in 12 acres of gardens and woodlands. Elegant and traditional, all of the rooms are individually decorated with their own unique character and charm. Some rooms have wonderful views of the lake and fells, with rooms available in the hotel's main house and in Bank House, which is situated one mile (1.6 km) further along the lakeshore. The hotel was where the term country house hotel' was first coined and where the famous British dish, sticky toffee pudding, was invented. The restaurant has held a Michelin star for over a decade and offers superb British cuisine and carefully chosen fine wines. A full English breakfast is available each day. Nestled amid 1.7 acres of grounds in the North Lakes village of Portinscale, this traditional Georgian manor house boasts spectacular views over Lake Derwentwater, 'The Queen of the Lakes'. Purchased by the present owners in September 2005, the property has undergone total refurbishment, both externally and internally, and now offers 21st century facilities within the original stone building. Ideally placed for exploring the Lake District National Park, the hotel is also just over one mile from the market town of Keswick and directly outside the front gate of Derwentwater Marina, which offers a range of water-sports. In beautiful gardens and boasting spectacular views across Lake Windermere to Langdale Pikes and the mountains beyond, this Victorian retreat has an indoor swimming pool, a gym and sauna. Surrounded by the stunning natural beauty of the Lake District, Windermere Manor Hotel is located on the outskirts of the town, just 10 minutes' walk from the shores of Lake Windermere. This very special location makes the hotel a beautiful, peaceful base from which to explore the region. Many of the well-appointed, en suite rooms have attractive balconies and stunning views of Lake Windermere. Several of the rooms are also suitable for families. The conservatory and oak-panelled restaurant (formerly a chapel) overlook the gardens and the lake. In both you can enjoy an extensive and varied menu, including local specialities. The impressive leisure facilities are a great way to unwind after a long day's walking and include an indoor heated swimming pool, a well-equipped gym and the sauna. Nent Hall offers a charming destination to enjoy a relaxing break. Set in peaceful gardens, we are only a short drive from the Lake District, Hadrian's Wall and much more. Nent Hall Coutry House Hotel is a haven of tranquillity; perfect for those who want to get away from it all. The hotel has recently undergone major refurbishment and all rooms offer comfort in a stylish country house setting. During your stay you can enjoy strolls along the banks of the River Nent, wander round the cobbled lanes of nearby Alston or walk up to several vantage points, where the whole valley is spread out below you. This superb country house hotel is set in 6 acres of beautiful gardens and overlooks the breathtaking scenery of Lake Windermere with the fells beyond. With a tranquil, idyllic setting, Lindeth Howe is the perfect antidote to a hectic modern life. The house was previously owned by the much-loved childrens author Beatrix Potter and you can still feel her presence today. All of the hotels rooms are elegantly furnished and some feature fabulous views of Lake Windermere. The hotels restaurant offers lunch, dinner and afternoon tea and has recently received 2 AA Rosettes. Guests can also relax by the indoor pool; enjoy the sauna and fitness room; or indulge themselves with various body therapy massages. Wi-Fi wireless internet access is available throughout. Lindeth Howe has recently been awarded a Gold Award from VisitBritain, to add to its 4-star rating from the AA. 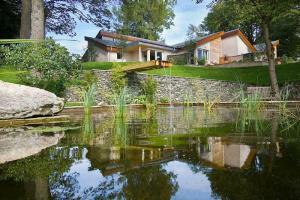 Eden Lodge is a new country-house hotel with a modern style. 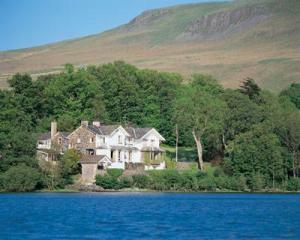 It is located at the southern end of the beautiful English Lake District and serves fine cuisine in its restaurant. The beautiful Edwardian building is located in its own mature parkland and overlooks the magnificent Morecambe Bay to the east. The beach is a 10-minute walk away, and the Manjushri Buddhist Temple and its wooded grounds are close by. The hotel aims to create a relaxing stay in beautiful surroundings and provide a enjoyable eating experience. In the beautiful Lake District, just 2 minutes' walk from Windermere, this luxury bed and breakfast boasts a position as one of the AA's Top 500 Places To Stay. The Howbeck is a Best Loved Hotels of the World member and boasts 11 stunning rooms and suites, each one individually decorated and named after Cumbrian Becks (Becks being the Viking word meaning stream). It also houses an award-winning restaurant with a good reputation for using fresh, local ingredients. During your stay at the Howbeck, you can explore the magnificent scenery and stunning natural beauty of the Lake District. Nearby Lake Windermere is the largest natural lake in England and provides the ideal spot for a range of water-sports and country pursuits. With a wonderful location, stunning surroundings and superb accommodation, the Howbeck is a luxurious base from which to experience all that the Lake District has to offer. Following 8 months of renovations, detailed research and innovative thought, this beautiful Victorian house has re-opened as what the owners believe to be the first organic hotel in the region. With a host of eco-friendly features blended with uncompromising quality, from the organic clay paints to the filtered water throughout the property, the ethos of reducing the environmental and carbon impact is applied. Set in the centre of Grasmere, Moss Grove Hotel features 11 rooms, each one unique in character, shape, design and ambiance. All share a relaxed and totally natural style to ensure a comfortable and relaxing stay. Built in 1888 and retaining lots of original features, all rooms at this well-reputed guest house are well furnished, spotlessly clean and decorated to a very high standard. Fir Trees is close to all amenities in Windermere and Bowness, both of which are a 10 minute walk away. There is plenty of off-road car parking and a garage for cyclists who may wish to leave their cycles overnight. Breakfasts are all cooked to order and offer a good choice; just what you need to set you up for the day. There are lots of scenic walks nearby for those wishing to leave the car behind and go off on foot to explore this area of outstanding natural beauty. Enjoy free use of leisure facilities at Parklands Country Club, and a free day fishing pass for all local waters (equipment not provided). Built in 1866 in classical Italianate style, the Grange Hotel sits in its own beautifully-landscaped grounds. We enjoy panoramic Bay views in the unspoiled Edwardian town of Grange-over-Sands, described by noted travel writer Bill Bryson as one of his 6 favourite places to visit in the UK. Fully-refurbished throughout and with full leisure facilities as well as a reputation for fine cuisine and a warm Lakeland welcome, the Grange offers a first-class base from which to explore the Lake District. Set in the southern Lake District, luxurious Gilpin Lodge has excellent rooms and 3 AA Rosettes for its first-rate food. It is surrounded by beautiful moors, woodland and country gardens. 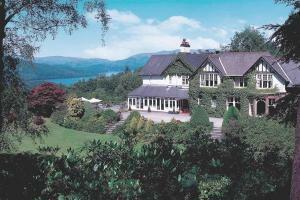 The hotel is opposite Windermere Golf Club and 2 miles (3.2 km) from Lake Windermere. Most bedrooms have lounge areas, many with patio doors leading to beautiful gardens with private hot tubs or spa baths. The Relais and Chateaux hotel is a haven of calm, with no weddings or groups. It was fully refurbished through 2007/ 8. This family-run hotel rests on the western edge of the Lake District, offering dramatic, panoramic views of the Loweswater Valley and mountains beyond. Set against the imposing Melbreak, from which the hotel takes it name, and the rugged coastline of the Solway Firth, this country house hotel lies in 3 acres of idyllic grounds. The new Conservatory Restaurant provides superb views of the surrounding landscape. The lounge bar, popular with locals and guests alike, is a relaxing place to enjoy a drink or light snack. Conveniently positioned just off the A66, the main route through the North Lakes, The Melbreak Country Hotel offers easy access for Workington and the Cumbrian coast.